It is always fabulous with South Africans go big! Kellerman is the first South African ever to be nominated for a Grammy® Award in the New Age category. ‘Winds Of Samsara’ by Wouter Kellerman & Ricky Kej scores ‘Best New Age Album’ nomination in the 57th Annual Grammy® Awards. Los Angeles: Award-winning South African flutist and composer Wouter Kellerman and renowned Indian Composer and Producer Ricky Kej have been nominated for the prestigious 57th GRAMMY® AWARDS for their debut collaborative album ‘WINDS OF SAMSARA’ (www.windsofsamsara.com) in the BEST NEW AGE ALBUM OF THE YEAR category. It was announced on 5 December 2014 by The Recording Academy. ‘WINDS OF SAMSARA’ debuted at #1 on the Billboard New Age Chart and continued to be in the Top 10 for the next 12 weeks. This masterful collaborative album by Kellerman and Kej also debuted at #1 on the ZMR World Radio Charts. It has been a great year for the Duo, as Kellerman performed sold out shows at Carnegie Hall in New York and the Grammy Museum in LA. The boundary-breaking New Age album ‘WINDS OF SAMSARA’ speaks through themes of World peace and positivity, spinning together forward-moving harmony, progressive composition, and technical prowess with a verve and passion never before attempted in this genre. Two years in the making by the star-matched duo Wouter and Ricky, the album spotlights the musical, cultural and political connections between India and South Africa from Mahatma Gandhi to Nelson Mandela. On being nominated, Wouter Kellerman said: “I am simply overwhelmed by this nomination! It is extremely heartening to know that all our hard work is being recognized. This album has truly transcended borders and cultural barriers and we hope the positive energy created will help effect positive change in the world. I feel very privileged to be in such good company and wish all my fellow nominees all the very best”. Ricky Kej added, “It is especially a proud moment for me to be nominated for a Grammy® and to go down in history with the likes of Peter Gabriel, Enya and Enigma. It is exhilarating! This album is a dream come true for me, as it has challenged us as artists to push borders and to have the one common thread truly be the universal language of music. Being recognized in this way humbles me and motivates me to continue spreading the message of peace and harmony through my music”. In what is seen as a major leap forward for India and South Africa on the global music stage, Wouter Kellerman and Ricky Kej will grace the red carpet at the Staples Center in Los Angeles on Sunday, February 8th, 2015 for the evening billed as Music’s Biggest Night®. The broadcast will commence on CBS at 8 p.m. ET/PT. 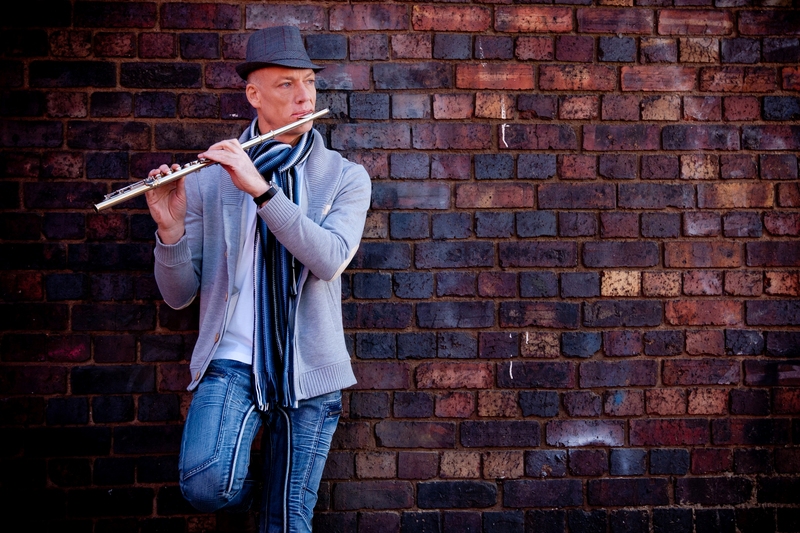 Globe-trotting flutist and composer Wouter Kellerman’s album Two Voices won the 2011 South African Music Award (the nation’s equivalent to the Grammy® Awards in the United States) for Best Instrumental Album, reinforcing the artist’s standing as one of his home country’s most innovative musicians. Whether writing intricate instrumental compositions or delighting audiences with a magnetic alchemy of warmth and technical mastery, Kellerman finds his inspiration in the spaces between cultures and countries, genres and disciplines. He thrives on experimenting with the shades, textures, and colors that his flute can bring, pushing the instrument into new planes of creativity. The last few years have seen Kellerman performing in Berlin, Shanghai, Sydney, Carnegie Hall in New York, the Kennedy Centre in Washington DC and beyond, including an appearance in front of 700-million people as part of the 2010 FIFA Soccer World Cup Closing Ceremony. Amidst such fun, Kellerman simultaneously channeled his musical and life experiences into collaborations with renowned Indian composer and producer Ricky Kej, to sculpt the beautiful musical journey of Winds of Samsara. A true wizard of the keyboard, manuscript page, and recording studio, Kej has earned multiple awards and honours for his composition and production exploits. His projects include creating music for five feature films, twelve albums released by Universal Music, and over two thousand commercials seen by audiences around the world. A student of both Western and Indian classical music, Kej composed original works for the opening ceremony of the Cricket World Cup 2012, held in Dhaka, Bangladesh; the ceremony was telecast to more than 200 countries and widely heralded for its artistry and execution. For such efforts, Kej was declared an “India Rules Artist” by VH1 in 2013. Kej was nominated for a Cannes Advertising award for his Nike Jingle, and his previous album Shanti Orchestra was nominated for a ZMR Award (New Orleans) and a Hollywood Music and Media Award (LA). Combining a keen sense of culture-jumping harmony, melody, and pacing, Kej synthesizes cutting-edge music technology and traditional instruments of both Indian and European origins into his work, both within the new age genre and beyond. He currently runs two state-of-the-art studios in Bangalore, the Raveolution Studios, where much of Winds of Samsara was developed from spark of an idea to finished album. Next Article 20 bits about my day.